Like a preacher tiptoeing out of a brothel, the Democrat Party quietly dropped its sponsorship of the Women’s March. Like most of the other lefty establishment groups slowly backing away from its pro-Farrakhan leadership, the DNC offered a non-denial and no condemnation of the group’s anti-Semitism. Instead of condemning the March’s anti-Semitism, the Southern Poverty Law Center explained that it wasn’t going to sponsor it because “other projects were a priority.” Even though HRC and GLAAD’s names had vanished from the Women’s March partner page, the spokespeople for both gay rights groups claimed that they were waiting for clarification from their respective organizations. No one wants to be associated with the Women’s March and no one wants to be disassociated from it. The lefty establishment knows perfectly well that their activist base hates Trump far more than it opposes anti-Semitism. Much of that activist base, including the ones with Jewish last names, would turn out to protest Trump even if they had to do it side by side with Farrakhan, Hamas and Hitler. But those same groups are wary of offending a handful of wealthy Jewish donors, and so have done their best to square the circle, making a symbolic covert gesture of support for the Jewish activists campaigning against the Women’s March while offering symbolic support for anti-Trump protests. The Women’s March leadership was threatened enough by these pullouts to parade a few Jewish or Jewface wearing members of the anti-Israel Left to rubber stamp a fake makeover even as Tamika Mallory kept on defending Farrakhan during her media tour of The View and Elle Magazine. But the Farrakhan problem goes well beyond the Women’s March. And it isn’t going anywhere. In 1984, Jesse Jackson used an anti-Semitic slur in a conversation with Milton Coleman, an African-American reporter for the Washington Post. "Let's talk black talk," Jackson had told Coleman. For Jackson, who was running for president, that meant dropping casual anti-Semitism into the conversation, combining attacks on Israel with calling Jews, “hymies”. When Coleman wrote about it, Farrakhan, a Jackson supporter who had campaigned with him, warned, “'We're going to make an example of Milton Coleman, we’re going to punish the traitor” and “one day soon we will punish you with death”. Considering the Nation of Islam’s history of violence, this was no idle threat. Nor would Coleman be the last African-American journalist targeted by the NOI. A decade later, Chauncey Bailey, the editor of the Oakland Post, was murdered by a Nation of Islam splinter group supported by Rep. Barbara Lee. Media outrage, not over Jackson’s anti-Semitism, but over Farrakhan’s death threat to a reporter, forced the Democrat presidential candidate to condemn Farrakhan, though the two men continued associating. Leftist supporters of Jackson, including Jewish ones, like Bernie Sanders, stood by him despite his anti-Semitic slur. 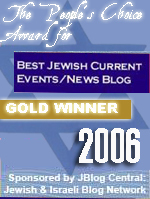 Criticism of Jackson’s anti-Semitism was attributed to his opposition to Israel. Jackson, like every single leftist anti-Semite, wasn’t an anti-Semite, but an anti-Zionist. 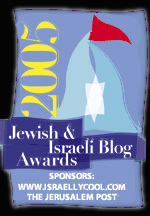 The Jackson-Farrakhan scandal was the template for the same debate that is still taking place a generation later in which Democrats defend their affiliations with Farrakhan as black empowerment, distinct from his bigotry, in which anti-Semitism by leftist racial nationalists is passed off as a critique of Israel, with Jewish anti-Israel lefties providing cover, and, finally, in which Democrats engage in a complicated tango with Farrakhan and the Nation of Islam. Tamika Mallory, Carmen Perez and Linda Sarsour are in the eye of the storm because they refused to do what previous lefties had done in the same situation, condemn Farrakhan. Under pressure, Barack Obama had awkwardly disavowed the racist on the campaign trail while making sure to refer to him by the honorific, “Minister Farrakhan”. Recently, a photo of the two men together at a Congressional Black Caucus event went viral, though few media outlets were willing to report on it. Keith Ellison also disavowed Farrakhan, despite spending as much as a decade, and beginning his career in politics, in the Nation of Islam. Despite that, he seems to have continued associating with Farrakhan. Obama and Ellison both adopted a ‘Jacksonian’ strategy, publicly rejecting Farrakhan while embracing him on the down-low. Lesser known members of the Congressional Black Caucus have gone on meeting with Farrakhan and even praising him, only condemning him in response to political pressure. Tamika Mallory tested whether it was possible for a Farrakhan fan to become a national leader without condemning him. The Women’s March controversy is the litmus test, not over whether Farrakhan will continue to be an influential figure on the left, that’s been an inescapable reality since the eighties, but if that support can be public. And the results are mixed. Rep. Maxine Waters, who embraced Farrakhan, will head the House Financial Services Committee, without ever condemning him. That’s true across much of the Congressional Black Caucus. It took over a year of hard work by Jewish activists to get to the point where the DNC no longer wants to be publicly associated with the Women’s March, but still won’t condemn it. Other lefty groups continue supporting the Women’s March and to much of the #resistance, the whole debate is a non-issue. Louis Farrakhan is 85 years old, but the problem that he poses will easily outlive him. It’s a familiar defense and it goes to the heart of the intersectionality fraud, which is not actually a movement of mutually supportive identity politics groups defending each other, but a loose alliance of identity politics groups prioritizing their own narrow agendas at the expense of everyone else. Black nationalists want to continue working with Farrakhan, despite his hatred of Jews, feminism, gays, white people, and pretty much everyone, because he stands for black empowerment. And bigotry is more often an inspiration, rather than an impediment to tribal empowerment. Black nationalism is shot through with anti-Semitic and racist figures who not only engaged in garden variety bigotry, but who viewed Hitler as a role model: (Farrakhan, Stokely Carmichael, Elijah Muhammad, Amiri Baraka, Marcus Garvey, and Eugene Brown, who actually went by “Black Hitler”). During his Nation of Islam days, Malcolm X could be seen palling around with the head of the American Nazi Party and would later boast, "I sat at the table myself with the heads of the Ku Klux Klan." This history isn’t taught for the same reason that Obama’s Farrakhan photo was buried. It reveals everything that went wrong with the civil rights movement and the fight against racism. Intersectionality inherited the old sins of black nationalism and created new ones. After decades of insisting that they had chosen Martin, not Malcolm, the Democrats made peace with political reality. The Women’s March is the horrible consequence of that political reality. The Jews are the odd man out in the ‘Jacksonian’ rainbow coalition of identity politics nationalists because the Jewish leftists who participate in such movements loathe any kind of Jewish nationalism. The only Jewish exceptionalism that they will occasionally admit to, in their militant commitment to universalism, is anti-Semitism. And hard lefties will deny even the existence of lefty anti-Semitism. Intersectionalists claim that Jews are hated as white people or as Zionists, not as Jews. That has been the leading defense of anti-Semitism in the ranks of the Women’s March. Beyond the depiction of Jews as the white oppressors of minorities or the Zionist oppressors of Muslims, are the raw tribal hatreds of the individual identity politics groups within the movement. Tamika Mallory and Linda Sarsour both hate Jews. But their individual hatreds are the products of different racial and religious belief systems. Mallory tweeted in response to Jewish criticism of her Farrakhan ties, “If your leader does not have the same enemies as Jesus, they may not be THE leader! Study the Bible and u will find the similarities”. The Women’s March leader was invoking a particular strain of classical anti-Semitism alien to the generally secular white leftist women who make up of the ranks of her movement. And to Linda Sarsour’s own religious inspiration for hating Jews. It’s also a form of ancient anti-Semitism completely distinct from Zionism or intersectionality, but that by invoking Christianity speaks to more traditional elements within the black community. "The fag's death they gave us on a cross,” Amiri Baraka, a popular black nationalist poet, savagely wrote, indicting Jews for inventing Christianity and alienating black people from black nationalism’s Hitlerian worship of the race. “They give us to worship a dead jew and not ourselves." The Nation of Islam meanwhile believes that the Biblical patriarch Jacob was actually a Jewish mad scientist who created white people through genetic engineering thousands of years ago. Even within the black nationalist movement, anti-Semitism takes a variety of racial, religious and anti-religious forms. That’s even truer of the intersectional spectrum where Zionism becomes an excuse for black nationalists, lefty atheists and Islamists to agree on a justification for their individual hatreds. When the Democrats chose black nationalism, they also picked a tribal model over an integrated one. The anti-Semitism problem of the Women’s March is one of the many manifestations of that original sin. The tribal attacks on white privilege, on toxic masculinity and heterosexuality are different expressions of the same problem. Identity politics killed tolerance and liberalism. All that’s left is tribal intolerance with intersectional coalitions building movements not around mutual love, but common enemies they can agree to hate. The debate about the Women’s March centers around the question of whether Jews will be one of those enemies. History and the trends in current affairs, from the media to the streets, tell us they will. There’s no new anti-Semitism. Only a very old one. Intersectionality isn’t a new progressive movement, it’s an alliance of old grievances and older bigotries. One problem, which has become normalized so completely that most people do not even consider it to be a problem, is that African Americans get a free pass for their anti-Jewish-hatred; and not just a regular free pass, but an UNLIMITED free pass. Louis Farrakhan and his Nation of Islam organization have used their UNLIMITED free pass to constantly propagandize against Jews, which has resulted in many millions of people believing that Jews are [or were] responsible for slavery, which is false. The only way to stop Louis Farrakhan and his Nation of Islam is to revoke their Free Pass for anti-Jewish-hatred, which is automatically granted to all African-Americans. This cannot happen in today’s political climate, because African-Americans have been officially granted Victim Status, while Jews have been categorized as unworthy of Victim Status, because people are jealous of Jewish money. Louis Farrakhan is one of the most successful anti-Jewish propagandists of all time. He and his followers have succeeded in persuading millions of people that Jews were responsible for slavery, even though the number of Muslims involved in slavery was infinitely greater than the number of Jews involved in slavery. The mainstream news media never mentions that Arab countries continued to practice slavery into the 1960s. The mainstream news media never mentions that Mohammed, the founder and prophet of Islam, owned dozens of slaves. “The far-left is unapologetic in its embrace of Louis Farrakhan, who has very publicly described Jews as satanic, and regularly rants about Jewish power and abuse. Today’s identity politics often calls for unity against Jewish power. Many college campuses have become extremely hostile to Jews, with Jewish students being targeted for both subtle persecution and outright violence. In many arenas and in support of many important causes, Jews have been called upon to reject their faith. SOURCE: Do We Really Want To Return To Normal? Considering the increase of elective officials who are open about their politics with regards to socialism, palestine, and the like this seems out of place for the demon-RAT pack. The same party that brought us the KKK has issues with socialism because those two ideologies disagree? Not on much, imho, not on much. Farrakhan is one of the most pwerful men in America. No black can have any sort of political career unless they kowtow to him. Obama did and does. So do Kamala Harris, Keith Elison and many others. Even white Democrat politicians need kowtow to him. His power is institutional and not especially person. Elijah Muhammed, his predecessor had it, too, and so will his successor. This is the face of the Democrat Party: anti-semitic and anti-white. Race war is upon us.